We close out the month of July with the four show run that closed out the summer 1997 tour. Visiting three outdoor venues in three states, plus a special theater gig in Tampa, finds the boys in fine form after a relatively short, but still grueling, summer tour. The best part of this run is the quality of the tapes, as three of the four shows were DSBDs leaked by the band during the prep for the upcoming Light Fuse, Get Away live album. 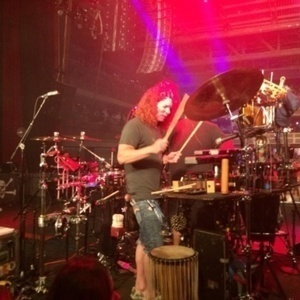 Clearly, Jeff and Harvey did not have too many show notes this time around, because they do spend altogether way too long talking about Carrot Top, who intros the band - and sits in on percussion - for the first time in Tampa, but do not let that dissuade from listening this week.